I swear it's physically impossible to order just one thing on ELF; it just seems like a crying shame. So when I needed to get hold of a new blusher, I also managed to get hold of three new brushes and an eyelid primer too. Studio Angled Foundation Brush from here- I've has this brush before and loved it, but one day all the bristles fell out. Luckily, it's not worth crying over when it's so reasonable to buy. The angled edge makes it perfect for reaching the areas around your nose, love it. Professional Brow Comb from here- I couldn't see that there was much difference between this brush and the studio version so saved a few pennies and opted for this one. This is going to be used purely on separating lashes. Brush and Studio Angled Blush Brush from here - A thicked, fluffier and softer version of the foundation brush, I'll be using this to contour my cheeks. I love this colour so much! I know it doesn't look too exciting in the packaging but it works wonders on your face. With a lovely irridescent finish, this is infused with minute golden specks. I've been using this everyday to create a beautiful warm, peachy glow and it just makes me look healthy and outdoorsy. It's so subtle, it's just a colour that doesn't overpower you and blends into your look. A lot has been said already about this primer, with many people comparing it to the Urban Decay primer and calling it a dupe. I haven't tried the Urban Decay one so couldn't comment, but here's what I think of the ELF primer. I bought this in Sheer and upon application, found that it's lighter than my skintone making it a sheer for pale skins only. Using the sponge doe foot applicator, you simply swipe a little on the eyelid and lightly rub across the lid. I've been using this on its own just to keep my eyelids shine-free and can just about get away with it! Really though I'd recommend using it with a beige eyeshadow at least. It lasts around 6 hours before starting to crease but it's still great value. Have you guys tried any of these ELF products? Walking past The Body Shop recently, I spotted this little tube in the window and headed on in for a closer look. Now, I'm a big fan of the L'Occitane hand creams. The handy little lightweight tube makes them perfect for keeping in your handbag. So when I saw this very similar looking hand cream, I had to investigate. I bought mine in the Wild Rose scent as this was my favourite from L'Occitane, but the Hemp and Almond versions are also available, the former of which has something of a cult following. This scent for me was by far the best, and it's a delicate floral rose that stays put for hours after application. The cream itself is a medium thickness, not a lotion and not a heavy, thick, rich cream like the L'Occitane hand cream. The good thing about this is that in sinks in pretty quickly leaving you free to head off without worrying about what you're doing next (i.e. driving!) Conversely, it doesn't moisturise for as long as the L'Occitane, but this is a personal preference. The tube itself is also aluminium with the same style of screw cap. This is the 30ml version which retails at £5, whilst the 100ml is £10. The L'Occitane hand cream is £8 for 30ml and £19 for 150ml. Described as "a daily hand cream with rosehip oil", it also contains an SPF 15 and is suitable for all skin types. The L'Occitane cream does not contain SPF. Overall, I think the Body Shop hand cream is more suitable for daytime use, with its non greasy, light feel and added SPF. I adore the scent and think it's a fabulous everyday handbag essential. At just £5, I think it's a bargain too! But don't throw out your L'Occitane. It's still the original and great for use before bedtime. What can I say, a girl can never have enough hand cream! I've been such a good girl lately. I walk straight through the beauty halls, ignore the perfume spritzers and take a route that doesn't go past Boots. But then I saw this. Space NK had a special event taking place on September 18th and 19th where with every purchase of £150 and over, you receive a huge goodie bag worth £260. Now, I've been toying with the idea of getting a Clarasonic Mia for months. Every single person I speak to says that it's a game changer. I'm also at that annoying stage with my foundation where I've used all the full sized ones up and have to root around for samples every morning to keep me going until I can find the time to get a colour match. So, this happened. I bought the Clarasonic Mia and the Laura Mercier Silk Creme Foundation. And so I got all of this! I don't know what I'm more excited about, although I've got a feeling it's the gift that's got my heart racing. And then for good measure the fabulous SA threw in these REN samples too (REN Mayblossom T Zone Control Cleansing Gel, REN Vita Mineral Radiant Day Cream) and a sachet of ReVive Glycolic Renewal Peel. If that's not a beauty gift worth talking about I don't know what is! Now, I need your help! I have no idea which ones to try out first. Any suggestions? In truth, I'm not much of a fake tanner. Besides a few unsuccessful attempts at using 99p mousse when I was younger (which left me looking like a patchy mess) I've generally avoided the tan. That's not to say that I'm not open to giving it another shot though and so, here we have Little White Lie* tanning lotion in shade lighter. "This quick & easy to apply Little White Lie Tanning Lotion allows you to get an instant colour whilst the tan continues to develop underneath. Prepare your skin with Little White Lie Exfoliator then apply tan to well moisturised skin. For best results either use a mitt or gloves and make sure you wash your hands after applying." The key to successful fake tanning is all in the preparation so I'm told. A thorough exfoliation followed by a moisturiser all over is the best way to get a streak and patch free tan. I skipped the exfoliator and headed straight for the moisturiser after showering, left it to dry and then smoothed this all over my skin with my hands, which I then washed straight away (it does say to use a mitt). I tried not to use it excessively as that's one way to avoid streaks! The scent is rather nice and not as biscuity as self tan can be. The white lotion goes on clear then develops throughout the day. It sank in quickly, didn't leave any stickiness and after a few hours I saw a little hint of colour come through which is probably due to the fact that I needed a shade darker! However, there were no lines anywhere which means that the colour did go on evenly even though I didn't use a mitt or an exfoliator beforehand. Result! Overall, I'd say this is a really convenient, foolproof, easy to use product for either fake tan beginners or someone looking for a subtle tan. If used a few times a week I'm prety sure you could maintain a natural looking glow. The shade lighter is definitley best for pale and porcelain skins so anyone darker should definitely go for the shade Darker. A lovely subtle colour rather than an atomic glow so not for tan addicts! It's two for the price of one on today's NOTD! I wanted to try out Models Own Blizzard* and paired it with this special edition polish from Nails Inc for InStyle called Bluebell. It's such a beautiful colour it's a shame they didn't add it to the mainline, but looking on the net it looks similar to Models Own Blueberry Muffin and Beth's Blue, Revlon Charming, Barry M Blueberry Ice Cream and Essie Lapis of Luxury, although none of them seem to match the incredible violet undertones of this polish. I used three coats to get a very full coverage although you could get away with two. The colour is more than just a pastel, baby blue colour. It's really a purple blue, with lilac/lavender/purple tones, dries really quickly, and wears really well with a topcoat. Models Own Blizzard is a very densely packed, highly reflective silver hexagonal sequins and tiny silver specks. It is very thick but that means that one coat gives you the freedom to move the polish around on your finger to get the right look. I love this colour combination too, somehow reminds me of winter, snowflakes and Mr Frosty! 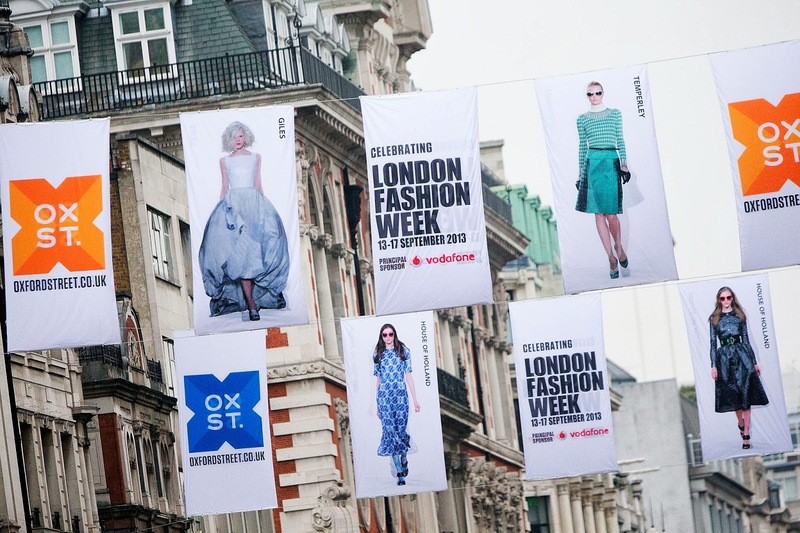 Get ready guys because the Harvey Nichols Fashion Show is back! A highlight in every Birmingham fashionista's diary, the A/W13 catwalk event will showcase the very best in designer collections on Tuesday September 10 at the impressive Old Post Office at The Mailbox. New season collections from Christopher Kane, Kenzo, Stella McCartney, Gucci, Markus Lupfer, Christian Louboutin and Philip Armstrong will all be included. 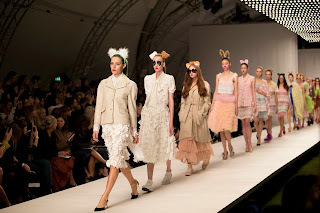 “We certainly set the bar high at our S/S13 show, so this one needs to be even more impressive,” explains Richard Vickery, General Manager of Harvey Nichols Birmingham. “Having recently announced our expansion plans, this event will give our customers a real taste of things to come”. Tickets last year sold out quickly and around 500 guests are expected to attend including the city's biggest sporting stars, celebrities and VIPs. Sponsors include Professional Player magazine, Aston Martin, Quilter/Cheviot Investments, Webster’s Interior Designers and Streets Chartered Accountants. 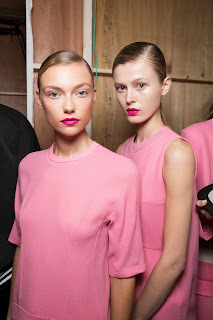 Models’ hair will be styled by Paul Jones and SHOW Beauty while makeup will be created by the in store team at SpaceNK. Tickets cost £15 and are available instore and from the Personal Shopping team. The evening will kick off with a Champagne reception at 7pm, catwalk at 7.30pm and an exclusive 15% discount in store afterwards (uh oh!). There will be a charity auction, hosted by TV presenter Nick Hancock, with money raised going to the footballers’ charity XPro. 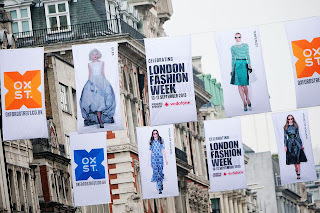 I can't wait to take in the new season collections and enjoy a few canapes, see you there!